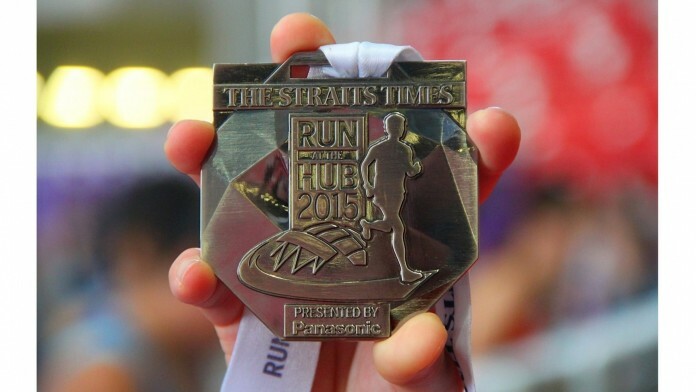 Race Review: The Straits Times Run at the Hub [10km] (by Moses) | JustRunLah! I am unfortunately, unable to comment on collection as a friend helped me with this… Not the best start to a review, but I can only accurately write about what I experience mhm? 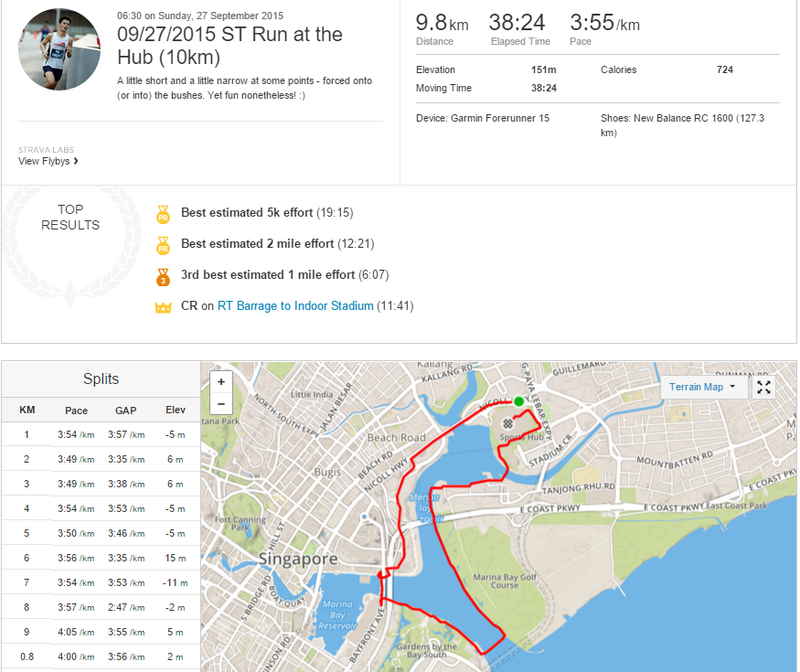 As the title of this post suggests, I participated in the 10km category. In all honesty, participation was meant mostly to clinch one of the top-25 spots (who doesn’t want a year’s supply of The Straits Times! ), instead of deliberately completing a unique distance (in all respect) or achieving a quick time. Having participated in last year’s edition of this race, I knew the 10km race didn’t provide the most favourable environment for a quick time, due to the merging of the route with participants of the 18.45km (or 21km the year prior) category. Bearing in mind, registration fees were arguably pricey by most standards. 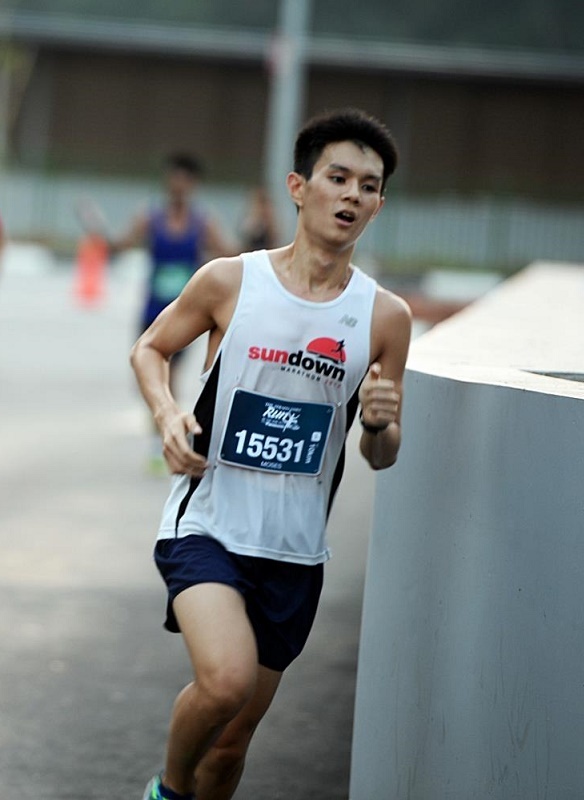 It cost $58 for the 10km category – though participants were provided with a decent amount of vouchers/freebies in the race pack, while having repeated opportunities to win travel packages and other items. Not forgetting of course, the repeatedly publicised lucky draw for the Land Rover. Traffic to the race venue via car was surprisingly better, a distinct contrast to last year’s experience on the roads. I didn’t bother with a baggage deposit so I’m afraid I cannot comment on it. Nor do I know about restrooms since I didn’t use them. Instead, I headed straight to the start pen (it seemed less crowded than last year). Now before you start feeling that this review seems to simply mention different aspects of a race that I failed to experience, please read on as it does get a little better! Flag-off was prompt at 6.30am. The race route took us from Nicoll Highway past Republic Avenue, then along Bayfront Bridge before we merged with the 18.45km runners along Gardens By The Bay. 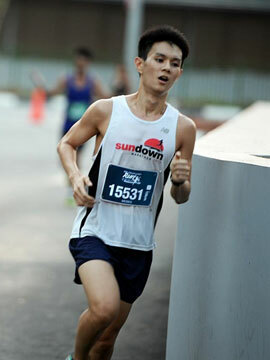 Thereafter, we’d run under the Sheares Bridge onto Tanjong Rhu, before finishing at The Sports Hub. The notable challenges of the route would be firstly, the bottleneck at Republic Avenue, caused by a narrow portion due to the F1 barricades. Secondly, the hairpin turn after descending Bayfront Bridge was a potential hazard. Thirdly, there was a bottleneck under the Benjamin Sheares Bridge, where a hydration station was located. Last but not least, merging with the runners of the 18.45km category could pose a challenge if runners of the categories were running at different speeds. In contrast to last year, I had a better race experience as runners mostly kept to the left, particularly along the Gardens By The Bay stretch. Whether out of courtesy or under marshals’ directions, I do not know, yet remain thankful for 🙂 However, despite that gesture, the route certainly got narrow along the Tanjong Rhu portion, possibly forcing runners off the asphalt onto the grass. Hydration stations were spread out over the course of the 10km (though my GPS data, in concordance with others’, suggests slightly shorter), spaced at around the 2km, 5km, 7km and 9km marks. In retrospect, I realise I didn’t grab any hydration, but I believe that isotonic drinks and plain water was served (please correct me if I’m mistaken). Distance markers were likewise present throughout, though possibly a little earlier than expected (once again, GPS data). One moment I really appreciated was the gush of cold air upon entering The Sports Hub! I don’t quite recall this cool (pun intended) experience last year, though please correct me if I am wrong? Last year. Credit to Running Shiok. Participants of the 10km category were subsequently handed a banana, a bottle of water, a can of 100-PLUS and of course, the Finisher’s Medal (a solid one it was). On this note, back in 2014, participants of this category were not entitled to a Finisher’s Medal (which was reserved for the half-marathon finishers). Instead, they received a Finisher’s Tee (one which I’ve never bothered to wear as it wasn’t particularly comfortable or aesthetically pleasing). Thereafter, there were various sponsors’ booths available, together with the event photobooth and a hydration point for thirsty finishers. Last but not least, let me mention that Race Results were out three days after the race! 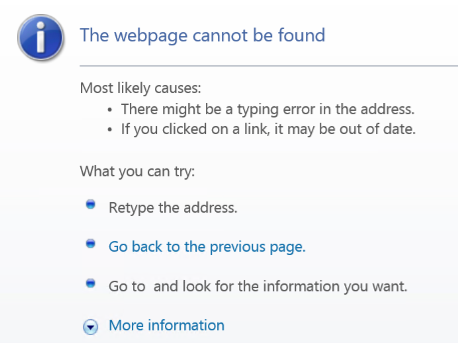 It would have been ideal if the entire list of participants’ results was made available, as with some other races.